How do I create an assessment report? 1. 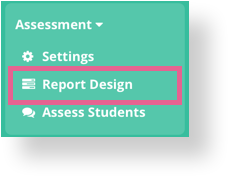 You can set up assessments from the Report Design page located under Assessment in the sidebar. 3. Edit the assessment report to begin setting up the assessment criteria. 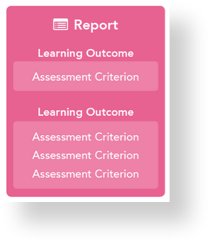 Assessment on OpenLearning is structured around assessment reports. These reports define how an assessor should evaluate a student's achievements in relation to the learning outcomes. This is done through defining assessment criteria, which flesh out learning outcomes and link them to relevant collections of student work. 1. 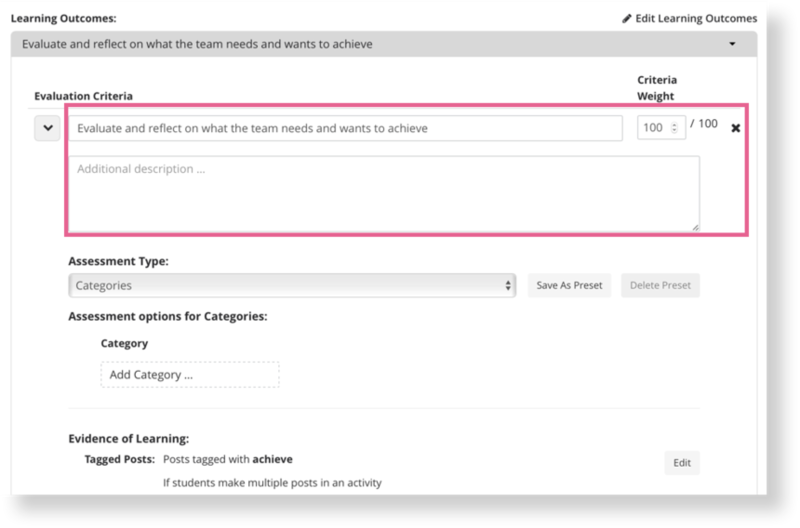 Add a criterion under a learning outcome. 2. Describe the criterion. Here, you can include instructions to assessors on how to make evaluations on student work. 3. Each criterion also has a weight which determines how much this criterion is worth relative to rest of the report. 4. 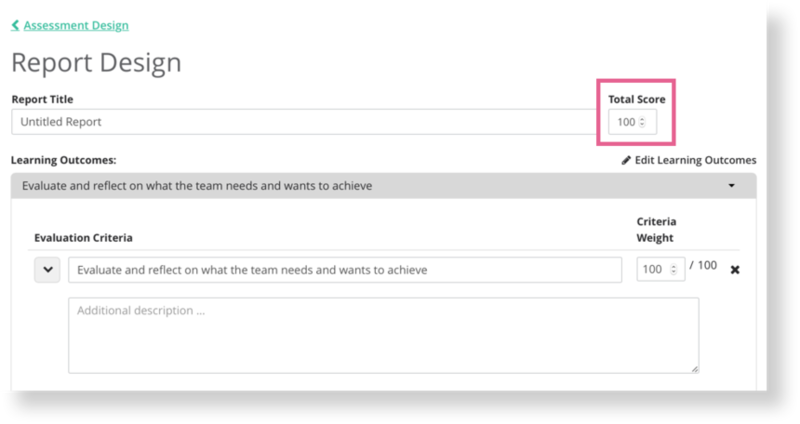 Select an assessment type for the criteria. This specifies how the evaluation will be expressed. 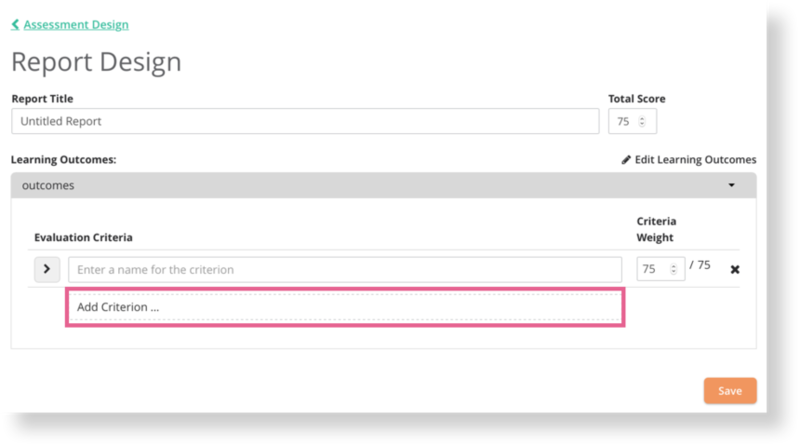 Possible types include numeric fields, pass/fail categories, Likert scale categories, and bands. 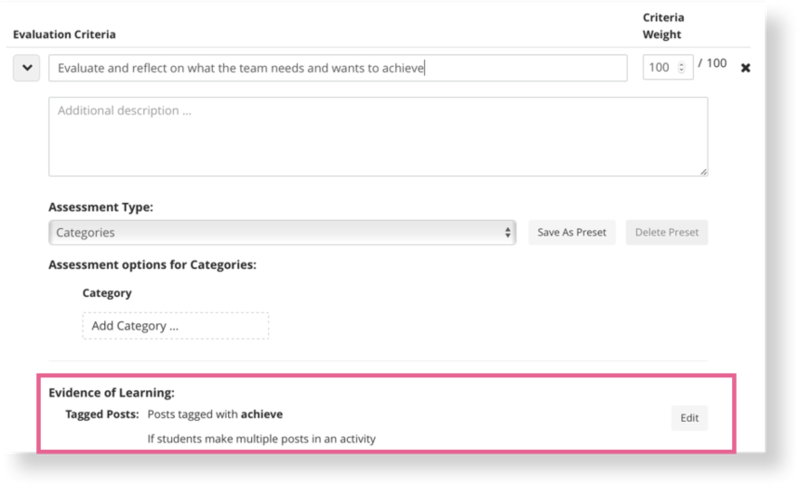 If you set up custom categories or bands, you can save them as presets to be reused across all assessment reports in a course. 5. Every criterion must be linked to evidence. You can specify a collection of student work to represent evidence of learning. Performance on a criterion is then evaluated over this collection. This collection may be customised by clicking edit, which opens the collection customisation modal. Through this modal, the collection of evidence can be further tailored to align to the current criteria. This is done by including/excluding posts with certain tags. 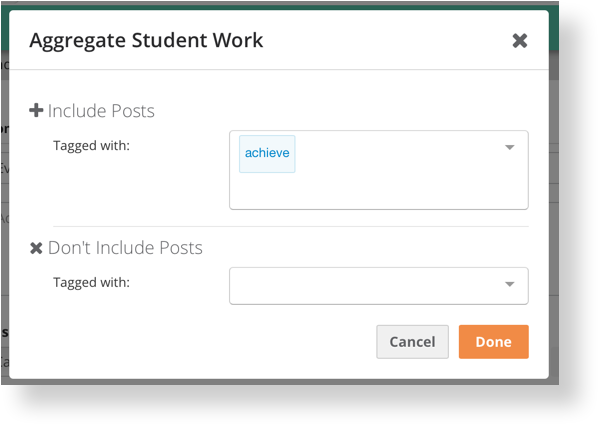 This provides a flexible way to link student work to learning outcomes.